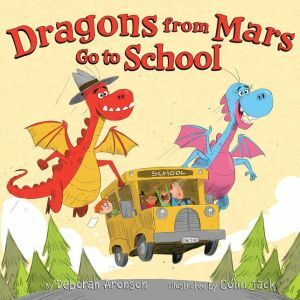 The dragons from Mars are headed to school. But when Molly and Fred arrive at the classroom door, they realize life at school might come with some challenges. Will Nathaniel’s larger-than-most pals fit in with the rest of his class? This Seussian tale about dragons who settle on Earth to join their human friend at school is a pure delight. Don’t miss Molly, Fred, and Nathaniel’s first adventure: Dragons from Mars!